Do You Have Questions About Cloth Diapering? Every purchase from our website (or in person) comes with a quick-wash and prep guide, but sometimes there are some additional questions, and clarification required. Ok. Convince me. Why should I cloth diaper? Long term solution – Disposables are a short-term solution to specific situations. Cloth is very much a long-term choice. The upfront cost pays itself back within 5 months of using them. No midnight trips to Shoppers Drug Mart when you run out of diapers, or making sure that extra $40 for a box of diapers is in your account, untouched. Do Cloth Diaper or Diaper Pails Stink? Baby poop, in general, really stinks, but disposable diapers do not smell any less foul. As long as you have a good air-tight diaper pail, coupled with a non-toxic deodorizer (even vinegar will work), you will find the cloth diapers will smell less than your disposables. Will I have to use Diaper Pins? Some people choose to use the older flannelette liners with rubber pants, but Piddly-Winx diapers use complete snap technology, which means no sharp pins, no lint-covered Velcro, and no extra rubber pants. Do Cloth Diapers Need To Be Changed More Frequently? Fact: Not true! For cloth and disposable diapers, newborns use approximately 12-16 diapers a day for the first 3 months. In the following nine months, they use 8-12 diapers per day. Diaper rashes occur less often with more frequent changes, regardless of whether you use disposable diapers or cloth – but disposable diapers can sometimes confuse the level of “dryness” your baby is feeling due to their absorbent chemicals inside the diaper. Also, with the cloth diaper, if you place the insert on top of the inside layer of the diaper, if your baby just has a small piddle, you can easily swap out the insert, as opposed to having to change the entire diaper, unlike disposables. Can I Travel With Cloth Diapers? Yes, you can! Piddly-Winx cloth diapers have everything you need in one spot – the insert can be pre-stuffed in your diaper bag, and all you need to do is snap snap snap! Fold up the dirty diaper and place it into one of the reusable wet-bags, which can hold 4-6 soiled diapers, zip it closed, and away you go – just as convenient as a disposable, but you aren’t throwing away your money! Why are your diapers so much cheaper in comparison? Simply put, we have minimal overhead expenses, and because we are not a brick and mortar shop, we don’t have rent to pay, or front-end staff to employ… this is a family business. We do the quality control, website additions, customer service, shipping and receiving, and inventories all in-house. We have chosen not to pocket this extra profit; rather, we pass it on to our customers, as our goal is not only to provide an affordable alternative, but a quality one too. We have used all our products on our own children! How long will your cloth diapers last? At a minimum, your cloth diapers should last for at least one child to go through them. If they are cared for properly, many can use them for a second and third child. A few questions to consider are how many diapers you have in your rotation (fewer means more washes and more wear), the laundry additives you are using (stain removers, etc – very destructive to diapers), and drying method (dryers are harder on clothing than line drying). I’ve never heard of Piddly-Winx. Where can I find out more? We have MANY testimonies from parents who have used our products all over the place – Facebook, Google+, Diaper Pin, Amazon, on our website, and even Babycenter! Our customer service is one of the best in the country for cloth diapers! Do Cloth Diapers Actually Keep My Baby Dry? The materials used in modern-cloth diapers have come a long way from the older flannelette diapers. Whether using the polyester or bamboo diapers, both have super-absorbent inserts included, designed to withstand even the biggest piddles. Also, as a side note, toddlers tend to potty train sooner with cloth diapers, compared to disposables, as they actually FEEL when they piddle themselves. Is Cloth Diapering More Expensive? Actually, it’s the opposite. Cloth Diapering is less than half the cost of using disposables. Over a three-year period, including power, water, and detergent costs, using Piddly-Winx diapers will cost approximately $922. Using disposable diapers, based on prices from Walmart.ca, diapers will cost approximately $2356.26. In addition to this, your cloth diapers can be reused for more than one child, so you can resell them after you are finished with them! Are Cloth Diapers More Work? In the short term, yes, they take a little bit more work – you will need to do an extra one or two loads of laundry a week, hang them up to dry, then put them away. However, when you factor in the time to get you and your baby dressed, drive to the store, purchase the diapers after waiting in line, and returning home, every time you buy disposable diapers – you will find that you spend less time with cloth diapering. The laundry really isn’t that bad, and if you have other little ones, they can easily be recruited to help with stuffing inserts. What’s the difference between your different diapers? All-In-One (AIO) Bamboo Newborn diapers – PUL outside, bamboo inside, sewn-in insert, fits 4 lbs – 12 lbs. Bamboo One-Size Pocket Diapers (also known as AI2s) – PUL outside, bamboo inside, pocket in the back to stuff a liner into. Fits 6 lbs to 37 lbs. Polyester One-Size Pocket Diapers (also known as AI2s) – PUL outside, polyester suede inside, pocket in the back to stuff a liner into. Fits 6 lbs to 37 lbs. Polyester Jumbo Pocket Diapers – (also known as AI2s) – PUL outside, polyester inside, pocket in the back to stuff a liner into. Fits 20 lbs to 50 lbs. Are cloth diapers big and bulky? If the diapers are fit correctly with the snap sizes tailored to your baby’s size, the diaper should not look bulky at all – it should fit snugly around the baby’s waist and legs. Sometimes, the one-size diaper can look a little bulky on a newborn, but don’t worry – baby will grow into it! Where are your diapers and accessories made? We have 2 different overseas manufacturers, one in Hong Kong, and one in China, who make our diapers and some of our accessories. Over the last 3 to 4 years, we have changed suppliers for a variety of reasons, but never due to the cost. While we use as many Canadian materials in our shipping and packaging as we can, ultimately, we wanted to provide Canadian parents with an affordable product. We have also partnered with some local moms in North Battleford who love to sew, and have some handmade in Canada products as well. These will be rolling out in Summer 2018. Why did you decide on bamboo for your main product line? How can I order your diapers? The quickest and most efficient way to place an order is via our website with credit card or Paypal. We also can take orders over the phone, mail in (via our catalogue), or in person. Cheques are accepted, but your order will not ship until the cheque has cleared. How much is shipping? Where do you ship to? Shipping in Canada, our shipping is a flat rate of $9.95 for all orders under $99. Anything over $99 ships for free anywhere in Canada, including YK and NWT. Shipping internationally – please contact us for a quote. Do you accept wholesale, group, or co-op orders? Yes, we do! While we have a twin pack available (48 diapers), if you need more, we can put something together to suit your needs. Please contact us for our wholesale pricing for retail or coops. We would love to work with you. Buying cloth diapers is a commitment, and while we understand that cloth diapering is not for everyone, we do have a strict policies for returns and/or exchanges. I placed my order. Why hasn’t it shipped yet? We usually get all packages out the door within 2 business days of an order being placed. Sometimes though, situations arise (family illness or vacations, diaper selection out of stock, post office closures…) which cause temporary delays in shipping your parcel out. Once the package is on its way, a tracking number is automatically generated by Paypal, and you can track it via Canada Post. Please contact us if you have any questions, or if you didn’t receive an email with the tracking number. What is your return/refund policy for open, used or washed products? We CAN NOT accept any returns or exchanges on open, used, or washed products. This is due to hygiene issues, as well as potential allergy exposures. What is your return/refund policy for unopened, unused, or unwashed products? For refunds on unopened, unwashed, and unused diapers, we offer a 30-day window from time of order delivery. Refund will be provided within 5 business days of receiving, upon inspection of diapers to ensure they were still sealed. What is your policy for defective products? We offer a 90-day manufacturer’s warranty from date of purchase on all our products – diapers, inserts, pail liners, wet bags, soakers, and breast pads. If you have any additional questions, or need to process a claim, please contact us. What if I don’t know the gender of my baby? To save costs for buyer, if you are purchasing for a baby whose gender is not yet known, you do have the option to postpone shipping of your bundle until gender is determined, or after baby has arrived. What is your exchange policy for open, used, or washed products? What is your exchange policy for unopened, unused, or unwashed products? For exchanges on unopened, unwashed, and unused diapers, we offer a 30-day window from time of order delivered. Exchange will be provided and shipped within 7 business days, upon inspection of returned diapers to ensure they were still sealed. This isn’t an easy “31 diapers should be good…” answer. It depends on a variety of factors, including age of your baby, how many children are in diapers, if you are using cloth full time or part time, if they are being used at daycare, your budget and priorities, and your fondness of laundry. Below are some suggested amounts depending on age. 2 years to potty training – 12 diapers with 24 inserts (using 6 diapers a day, this is enough for 2 days). While there isn’t really a “maximum” amount of diapers you can have, you do need to be conscious of how long the dirty diapers sit – they should not sit uncleaned for more than 4 days, as the urine can start affecting the PUL when sitting for extended amounts of time. Here are some approximate recommendations for “lazy launderers” (ie: ME! ), or for a larger rotation, for how many diapers you should have (per baby), based on the age of your child when you start cloth diapering. 2 years to potty training – 18 diapers with 36 inserts (using 6 diapers a day, this is enough for 3 days). The last thing a new mom AND cloth diaperer wants (or needs) is stress and added problems. With this in mind, I specifically designed the 24-pack complete bundle for tight budgets and minimal financial strain. This is a one-stop shop, including diapers, inserts (and extra inserts if desired), wet bags, pail liners, overnight soakers, bamboo cloth wipes, and disposable liners…. this literally has everything you need to start. Fit into the lazy launderer category like me? I also have a 36-pack complete bundle available. This is what I use! If you are expecting twins, and are not sure where to start, check out this TWIN pack. It is basically 2 x 24 pack complete bundles, with an added discount. You have the option to double inserts too. If you are wanting to cloth diaper baby #2, but still have a toddler in cloth diapers, the 36-pack would be an awesome fit, especially if you are thinking about potty training in the next year or sooner. This will also give you a larger rotation when baby #1 is finally out of diapers. If you already have everything you need accessory-wise, and have all the inserts you want, we have an awesome little diaper-shells-only bundle for parents who just want to add some new colour or selection to their pre-existing stash. You can find the 6-pack bundle here. We also have a 12-pack available, if needed. Have your gear already but just need some new diapers? Check out this 24-pack diapers only! You have the ability to customize between regular bamboo, charcoal bamboo, or a mix of both. You also have the option to double up on inserts, so you don’t need buy them later. This package comes with 24 diapers and inserts. There are smaller packages available if you have a couple cloth diapers already. This is always tricky, wanting to get the perfect gift for a friend without doubling up on something they already have. Why not get them a gift card that they can put towards their larger package? They can be combined, so your recipient can use multiple cards on a single purchase! Need a recommendation on a situation not here? Please contact us! Why Do I have to Wash my diapers if they are brand new? Diapers protect our baby’s nether region… do you want to chance anything being on that diaper? Believe it or not, whether the diaper is made at home or in a manufacturing facility, they are exposed to allergens, dust, dirt, chemicals, or pet hair. Just as you would a new pair of jeans, or a new bra, you should always give new items a quick wash.
Can I use diaper rash creams and baby powder? There are many cloth diaper safe creams out there – look for the ones made with natural ingredients. Avoid medical prescription creams and zinc ointment if you are not using a disposable liner. What is your prep routine for Shells? If I have any fuzzy diapers (especially loud bold colours), I give them a quick rinse in the sink with a little bit of vinegar (helps hold the colour). This should take no more than 10 minutes. Once wrung out, I simply wash the polyester diapers in my top load washing machine. I do one regular wash cycle, on a large load setting, with the inserts in the same load. I dry the diapers, usually on the line, but if feeling lazy, I tumble dry. Rinse diapers promptly in toilet (with a sprayer if you presser) or use a disposable liner. Sunning outside on a line is a natural stain remover, but you can also use eco-friendly products that will not harm fabrics. Detergents can make your cloth diapering journey difficult, or very simple. I have done a ton of research online and here with physical products, and I have found a few “really good” detergents, and a few “really bad” detergents. Honestly though, it is going to come down to your budget and preference. Personally, I don’t believe in paying a ton of money for detergent, as the whole point of cloth diapering is to save money. Before you decide on a detergent based on the above, you also need to determine the hardness of your water, as it can play a major role in your ability to wash and properly clean the diapers. For soft water, my “go-to” detergents, based on performance and price, is Purex White, and Sunlight Cold Water. If you are looking to spend the extra money on something “exclusively cloth diaper friendly”, Rocking Green and Nellie’s are suggested. For hard water, while you can used the detergents listed above, you may need to increase the amount of detergent you use, to offset the effect of the hard water. You can also add a water softening agent (such as Borax) to make your detergent more effective. For more information, check out our article on Hard Water Issues and Resolves. Who needs to strip diapers? Everybody! Why do I need to strip my diapers? It keeps them fresh smelling and reduces the risk of diaper rashes, and also increases the longevity of your diapers, increasing their value. How Often Do I have to wash the diapers? Ideally, every 2-3 days. Similar to dishes, it is easier to clean the diapers when they haven’t been sitting for a lengthy period. What do you suggest using with the cloth wipes? Personally, I always just used water in a crunch, and a ziplock bag, but there are many different concoctions out there now. What is your prep routine for Inserts? Inserts take a little more work, as they are what holds all the pee. I fill my bath tub about a quarter full, luke warm water, and add about a quarter cup of vinegar. I then add the inserts to the tub, and make a “insert stew”. The more water, the better. After letting them soak for 10-15 mins, I wring them out, and repeat. I do this 2 or 3 times, then let them dry. The final step is to put a bead of water on the insert. If the insert absorbs the bead, they are ready to go. If not, let them soak again for another hour, dry, then test again. Note: Hemp/Cotton/Bamboo sometimes take a few extra “wring/soaks” to get the natural oils that repel, out of the inserts. How much detergent do I use? For best results, base your detergent use off the detergent manufacturer’s recommendations, and then use less for soft water, and more for hard water. Each company has a different amount of “recommended amount”, especially when factoring the newer 2x and 3x concentrations. Be sure to read each bottle and adjust your detergent appropriately. 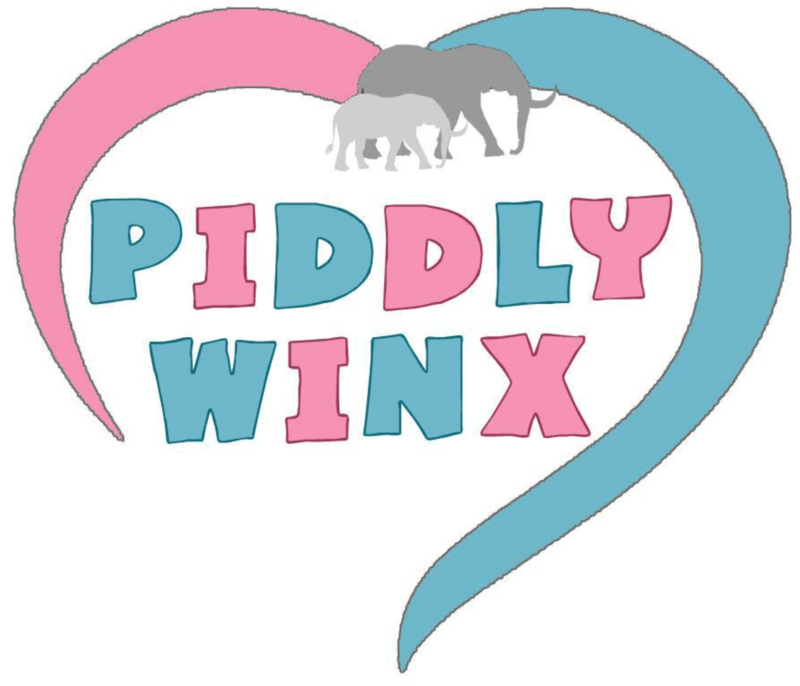 For Piddly-Winx diapers, you are fine to use the same amount that you would use in a medium-sized load of clothing. Can I boil my diapers? No! Boiling can actually can harm synthetic materials, not to mention the damage it can cause to the outer shells. Boiling could melt snaps, or even worse, cause delamination. Do You Have additional Questions About Cloth Diapering? We love to hear from our customers! Please, feel free to e-mail us at info@bamboodiapersonline.com with your questions. You can also use our contact form. Want to learn more about cloth diapering? Check out our blog or our Facebook page.